The Factronauts will be embarking on their latest mission at the stARTup Art Fair on Saturday April 28th at 6pm. Please stop by and check out their journey into a brave new world! What if a low-budget version of the imagined future came back to analyze the present? Who would it send? It would send The Factronauts. The Factronauts are intrepid explorers sent by their parent agency, Nor-cal Artists Seeking America into the unknown and unfamiliar world of the contemporary United States. Their mission is to collect, analyze and interpret the facts they encounter while maintaining their good humor and belief in the effectiveness of their process. A nation they no longer recognize as a familiar and safe landscape becomes other-worldly, a surreal and at times hostile place that is fractured by social, economic and politic divisions. They have become foreigners in their own backyards. The Factronauts comprise a series of performances, docu-fiction hybrid videos that function simultaneously as documentation of the performances and part of the piece, photos and other ephemera. 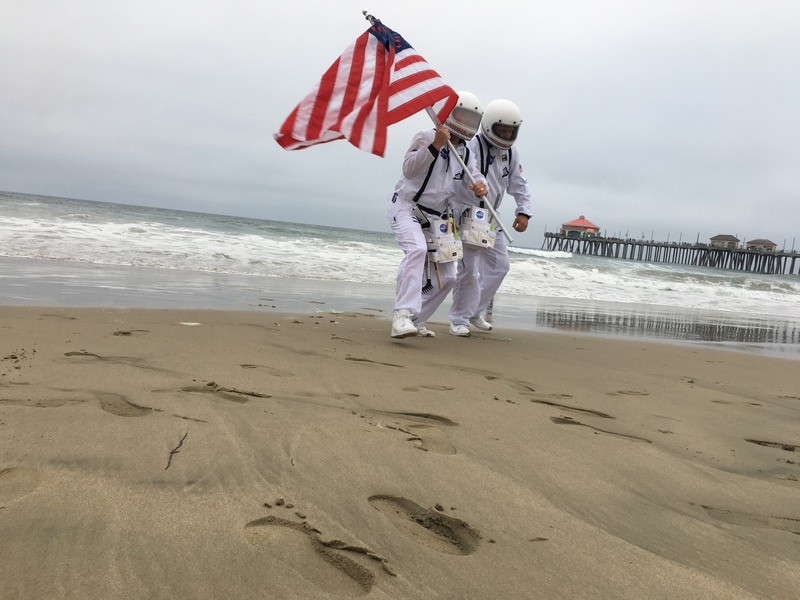 Peter Foucault and Chris Treggiari most frequently wear the customized explorer suits while Vita and Bryan Hewitt work primarily on the media and documentation aspects. Meet The Future. Two Feet In The Now. Eyes On The Horizon.